With summer all but gone, and the weather set to start cooling off in the coming fall and winter months, soon you’ll need to ditch those everyday sneakers for something a bit more substantial. 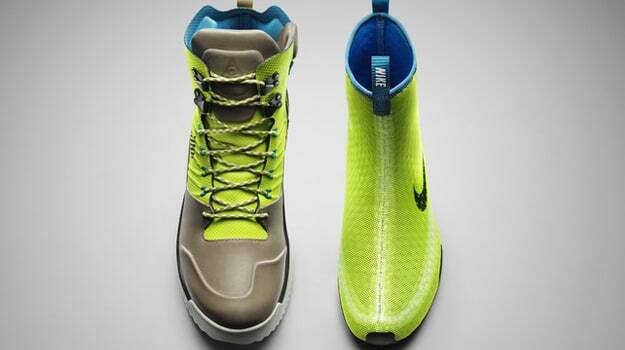 Enter, the all-new Nike LunarTerra Arktos winter boot. Drawing inspiration from Matryoshka dolls of all things—you know, those wooden Russian dolls that come in varying sizes and all fit into one another—Nike created the LunarTerra Arktos as a modular unit that features a removable inner bootie tucked inside a lightweight, yet rugged frame. The boot features the comfort and versatility of a sneaker, but offers the insulated protection of a true hiking boot. As it does with all of its high-profile performance footwear, Nike loaded up the LunarTerra Arktos with the of its latest innovative features borrowed from other categorie. This includes dynamic Flywire and Hyperfuse construction seen in Swoosh-branded basketball shoes, as well as Lunarlon cushioning from Nike running models. The outsole on the LunarTerra Arktos features All-Track sticky rubber, which is both durable and can handle virtually anything nature throws your way. To round it out, the boot has a sealed medial zip for easy on and off, and comes in a stylish silhouette that is just as worthy on the city streets as it is in the backwoods. A limited release of the black LunarTerra Arktos is available for purchase now at Nike. The remaining colorways will be available starting October 1, 2013.